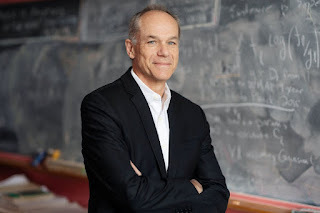 Brazilian physicist and astronomer Marcelo Gleiser has been awarded the 2019 Templeton Prize for his work blending science and spirituality. Marcelo Gleiser contends that science and religion are not only compatible, but that science is spiritual. The two realms of science and spirituality are intertwined for him. For Marcelo Gleiser, science is one part of the tripod of human questioning, and that philosophy and religion have asked these same questions for far longer than science has existed. The answers those different disciplines yield may be starkly different, but they are parallel pursuits and science has its own way of connecting to the spiritual side. Templeton Prize awarded by the U.S.-based John Templeton Foundation honours a living person who has made an exceptional contribution to affirming life's spiritual dimension whether through insight, discovery, or practical works. Templeton Prize was established in 1972 by the late Sir John Templeton. The Prize aims to honour outstanding individuals who have devoted their talents to expanding our vision of human purpose and ultimate reality. The Prize celebrates no particular faith tradition or notion of God, but rather the quest for progress in humanity's efforts to comprehend the many and diverse manifestations of the Divine. The Prize is a monetary award in the amount of £1,100,000 sterling. Q. Which Brazilian physicist and astronomer has been awarded the 2019 Templeton Prize for his work blending science and spirituality?